Living in Florida has its perks, from the gorgeous beaches to the warmth and sunshine. However, your tropical paradise can quickly turn into a mess of problems if you don’t properly care for your septic system. Luckily, if you live in Dade or Broward County, the experts at Coker Septic can provide you with septic cleaning, repairs, and maintenance, as well as 24/7 emergency services, should you need assistance outside of normal business hours. Most septic systems go unnoticed until there is a problem, so don’t wait until the very last minute to get the inspection and septic cleaning that you need. Contact Coker Septic today to request an appointment. The basics of cleaning and maintaining your septic system are pretty much universal wherever you go, but with Florida being so close to sea level, there are a few extra steps that you may need to take to avoid any problems. In part one of our series, we discussed directing rainwater to avoid a soggy drainfield and keeping an eye on the grass surrounding your septic system. 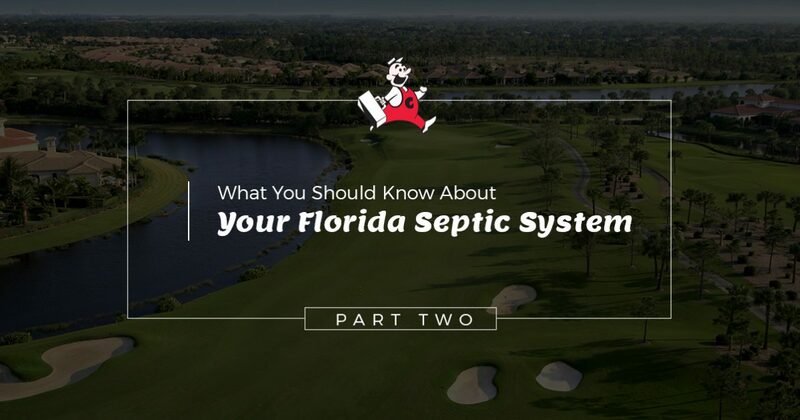 As we continue with part two of this series, we will discuss a few more things that you should know about your septic system. Continue reading and be sure to contact Coker Septic if you notice any problems. All of the water that you use in your home eventually ends up in your septic tank, including all of the water used to wash your clothes. Large loads of laundry can use up to 20 gallons of water. Not only is that a lot of water, but if you think about it, the water from your washing machine is also filled with chemicals and detergents that may not be the safest for your septic system. We’re not suggesting that you stop washing your clothes, but it may be in your best interest to seek out detergents and soaps that are better for your septic system. Trying different detergents is especially necessary if you start to notice bubbles appearing around your septic cover after you do a few loads. Too many chemicals can cause your septic system to backup into your home. In addition to switching your detergent, another thing that you can do to avoid a backup is to avoid using bleach in your washing machine, and spread out your laundry throughout the week instead of doing multiple loads in one day. It’s common for people to flush things like floss, cat litter, sanitary napkins, diapers, and even more items down the toilet simply because it’s convenient, and once it’s flushed, it’s out of sight and out of mind. That being said, when you flush things down the toilet that shouldn’t be flushed, they don’t just disappear. Eventually, they end up in your septic tank where bacteria break it down so that it can pass through the drainfield. However, non-biodegradable items such as diapers and floss don’t break down and can accumulate and eventually cause your septic system to overflow. Schedule a Septic Cleaning Today! At Coker Septic, we do everything that we can to ensure that our customers avoid any costly problems with their septic systems. Whether you need a septic cleaning, repair, or maintenance, you can count on the professionals at Coker Septic to get the job done. Browse our website to learn more about our services and give us a call to schedule an appointment today!